Auto Trail has been a family business, 100% New Zealand owned and operated since 1987. Originally, the business operated out of a small garage and a rep vehicle, providing automotive accessories to Automotive workshops, garages and service stations. The company name (Auto for automotive and Trail for trailer components) was chosen to reflect our business offerings and our range widened from initially accessories only to include automotive parts, tools, trailer components, tractor spares and workshop/garage equipment. At the same time, our target market increased to include workshops, engineering businesses, farming contractors and similar. Trade business sales make up a large proportion of our business although we have always had a retail offering for those customers wanting to do their own vehicle servicing and trailer repairs. The launch of our full e-commerce website in 2018 serves as a means for Auto Trail to reach customers outside of the Waikato and offers the ability for customers to see some of the range of products we have available. 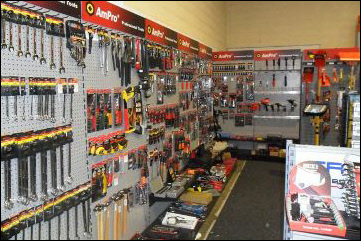 In time the website product range will increase to include Trailer parts and other tool brands. The Company was founded in 1987 by Stewart & Marilyn France. Trojan & Hamal brands were added to our product range. Moved to our current location at 3 Empire St, Frankton. Ray Thompson joined the company. Aigo & Koken brands were added to our product range. Craig Williamson joined the company. Narva brand was added to our product range. Kelly O’Neill joined the company. Kevin Howarth joined the company. Sparex was added to our product range and we expanded our warehouse. Bosch was added to our product range. Teng Tools were added to our product range. Garrick Page joined the company. Total Oil was added to our product range and we expanded the warehouse again. The Speedo Shop was added to our business. John Martin joined the company. Josh Martin joined the company. Tom Rostron joined the company. Gail Crean joined the company. The Carburettor Shop was added to our business. New Owners, Jeremy & Annie Waters, took over Auto Trail ownership. The primary objective of Auto Trail is to provide quality service and products to clients in order to mutually benefit clients and Auto Trail Ltd.
Providing friendly, courteous and efficient service in a manner that communicates to the client their value to Auto Trail. Stimulating a work environment that encourages a high level of customer support through recognising the important role of all staff members and the need for an effective team atmosphere. Providing a selection of stock at a price and quality level that meets the requirements of the targeted clients. All staff promoting the business as an efficient professional and client supportive organisation through their actions and by maintaining a high standard of personal and company asset presentation.